The number of convenience stores has doubled from 71,400 stores in 1982 to over 151,000 in 2014. 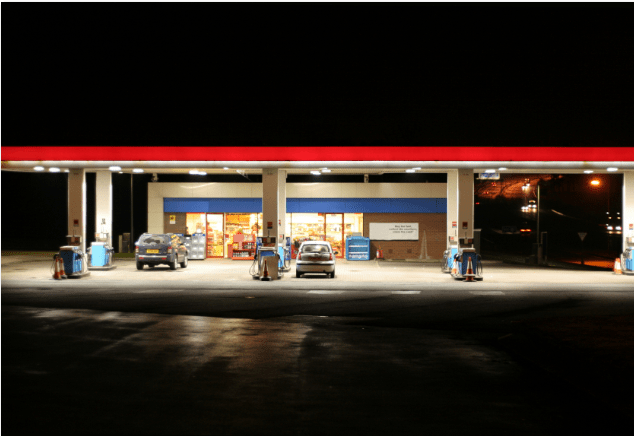 The link between fuels and convenience retailing continues to grow. Overall, over 83% of convenience stores (126,658 total) sell motor fuels, a 2.7% increase (3,369 stores) over 2013. The growth of convenience stores selling motor fuels is double the overall growth in the industry, as fuel retailers add convenience operations and convenience retailers add fueling operations. The convenience retailing industry continues to be dominated by single-store operators, which account for 63% of all convenience stores. Compare that 150,000 unit number with drugstores (41,000), supermarkets (37,000) and dollar stores (25,000). There is a c-store for every 2,200 US residents. The large number of single-store owners, the large number of lenders who avoid gasoline resellers, the real estate contamination risk, the gasoline supplier risk, and the c-store business risk ensures that lenders who strategically choose to elevate their expertise in this niche market will have their pick of deals to choose from in their market. In other words, there is strong demand for financing for those lenders who are willing to appropriately manage the risk of c-store financing. Best selling author and Coleman webinar instructor, Charles Green has studied this market for years. Join Charles for a presentation of what commercial loan underwriters need to know about the c-store industry to arrive at the correct loan decision – every time. Special guidance will be offered for SBA eligibility and underwriting requirements. And what about those underground gasoline tanks? Learn how prudent lenders manage the risks.